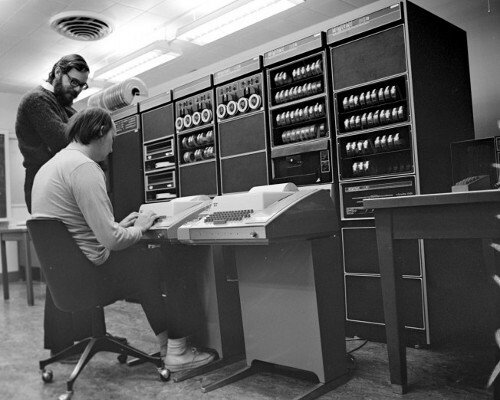 Dennis (standing) and Ken in front of a DEC PDP-11 in 1972. Look at those tape reels! Photo from dmr's site at Bell Labs. I hope they maintain it.